Today marks the first anniversary of our parenthood (read about last year here). While I know I'll spend the day in awe of the way God's perfect plan has unfolded, and the way my son loves his momma, I can't help but think of the pain that this anniversary brings for others. But praise God, there is hope as well. In just one short year, you have touched so many lives. You are teaching me unconditional love, faith, trust, and patience. I can believe that a year has passed since you came into our lives because I can't remember (and don't want to) what life was like before you. It seems a world away. Spending every day with you is a blessing so great and being called "mommy" is the best privileged of all. Today is your "Gotcha Day," but I don't think we'll celebrate it in the way that some adoptive families do. There will be no parties, balloons, or circus animals. However, as you grow older, I want to spend this day talking with you about your first family, answering your questions about adoption, and telling you about the huge hole in our lives that you filled. I'll tell you about the day we found out you existed, and the morning we found out you were born. I'll show you the email through which we were contacted, and video of the first moment we met. We'll look at pictures upon pictures (at this point, we have over 1,000 of just you!). We'll talk about all the prayers that have been answered, and the beautiful relationship between God and his children that your adoption demonstrates. I just can't wait till you're old enough to understand all of these things (although I'm surely not rushing things along). I love you so much. Happy October 12th. I started reading your post yesterday afternoon and had to stop because I hadn't seen the most recent episode of Parenthood! :) (I'm in love with that show) Now that I caught up last night on hulu, I could come back and read! haha Happy Momma's Day to you! 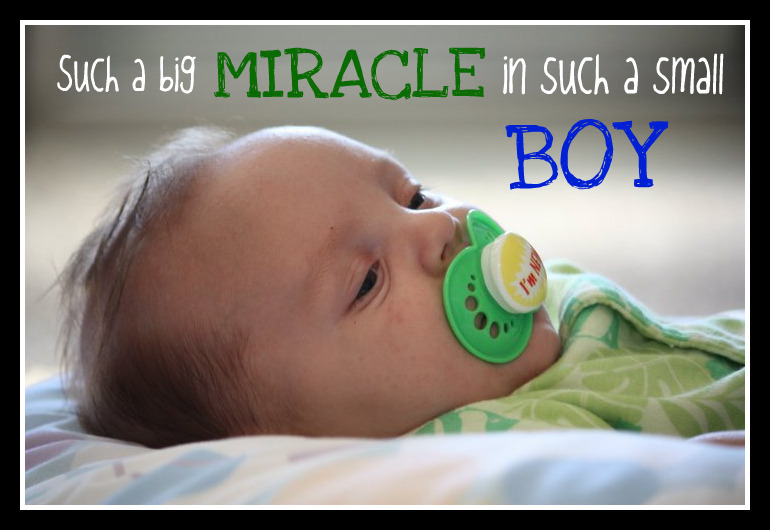 Celebrating your miracle with you today!! Happy October 12th! (A few days late :-)).